A Deloitte study of 40 African economies reveals that the introduction of mobile networks has the potential to influence socio-economic development for individuals and villages in remote areas. No matter what part of the world you live in, communication is a vital aspect of everyday life facilitating connection between people. The use of phones has evolved from interactions with friends and family to tools that enable commercial transactions for businesses. 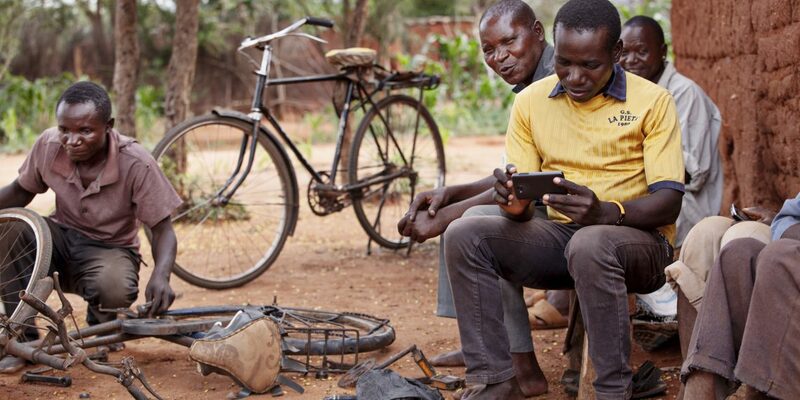 In Tanzania, the highest rate of mobile phone penetration is in urban areas; however, 67.6% of the population resides in rural areas where connectivity remains a challenge. A Deloitte study of 40 African economies reveals that the introduction of mobile networks has the potential to influence socio-economic development for individuals and villages in remote areas. Additionally, the study shows that a 1% increase in market penetration leads to an increase of 0.28 percentage points in GDP and a 1% increase in internet penetration increases GDP growth rate by 0.077 percentage points in the economy. We live in a world where a person in the southern highlands of Tanzania needs to be able to access breaking news as it happens from his mobile phone and also have the ability to use the same phone to source commercial opportunities in other parts of Tanzania. Without enabling rural access it would take time for information to reach people in rural areas, not only hindering their progress but also rendering them ignorant of current affairs as they unfold. According to FinScope Tanzania 2017, 78% of Tanzanian adults in rural areas have a financial access point within a five km radius. Due to the limited footprint of traditional bank branches, the majority of financial service providers found within this radius are mobile money agents whose presence facilitate transactions that allow for residents to participate in economic activities that improve their livelihoods. Rural connectivity empowers the lives of those who reside great distances from urban centers. Vodacom Tanzania PLC, the leading telecommunications company in the country, has been at the forefront of advancing rural connectivityand has demonstrated its commitmentby supporting the government in its objectives to bridge the digital divide by progressing connectivity to over 60% of the population that resides in the rural areas in order to unlock the economic potential that lies there. 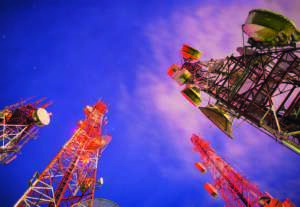 The telco has been at the forefront ensuring that all Tanzanians have access to communication. The company currently covers over 75% of the connected population with a bouquet of technologies ranging from GSM 900/1800, 3G and WiMAX 803.16d. The future is promising for rural connectivity in Tanzania. Vodacom recently entered into a long-term contract with the National ICT Broadband Backbone (NICTBB) that allows the former to use government-owned fiber optic cable infrastructure to enhance connectivity in rural Tanzania. With increasing demand for information services, Vodacom will use the government infrastructure to meet customer needs as fiber optics cables can carry larger amounts of information over a longer distance helping bridge the technological disparities of rural areas. Additionally, through an agreement with Universal Communication Service Access Fund (UCSAF), Vodacom has set out to improve basic telecom services to the most rural villages and underserved urban areas in Tanzania. Under this agreement, 194 new sites have been added reaching 187 wards in Tanzania providing access to communication and internet services to improve the socio-economic standing of 654 new villages in Tanzania. Connectivity also enables the transfer of critical health data and life-saving information by text messages to clinics to support rapid diagnoses for patients in remote villages. Although the socio-economic benefits are vast, the deployment of rural access services remains a challenge due to the required investment to ensure that broadband services are not only deployed but also remain sustainable. In order for rural connectivity to be realized, key conditions have to be met: partnerships between the private and public sector, roll-out of projects that provide high-speed network access, and the provision of friendly regulatory frameworks. These strategies lie at the heart of providing an enhanced and holistic service to potential customers in rural Tanzania.